We’re getting excited for the Easter holiday to decorate the house with bunnies and Easter eggs. 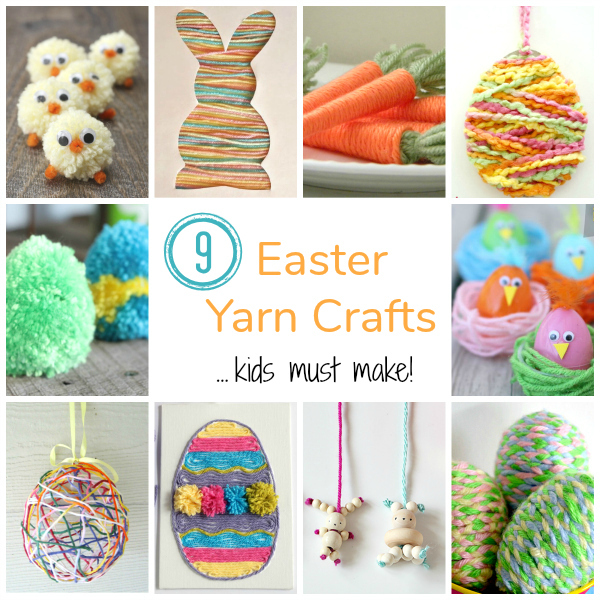 We’ve found some really fun Easter yarn crafts that are kid-friendly and great for a little home decor! 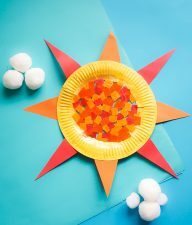 With just a couple weeks until the Easter holiday, set your to-dos with these fun kid-friendly crafts. Each one is a yarn explosion of fun. 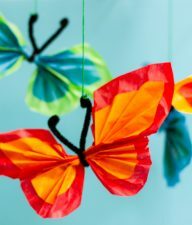 Not only are they fun to make, but they’ll give your home some festive Easter decor! 1. Easter Bunny Silhouette: Use your left over yarn scraps in spring colors to make the backdrop for this Easter bunny silhouette. Find the tutorial via Katie’s Crochet Goodies. 2. Yarn Wrapped Egg Ornament: Wrap yarn around a cardboard shaped egg to make a festive ornament. Find the tutorial via Fantastic Fun and Learning. 3. 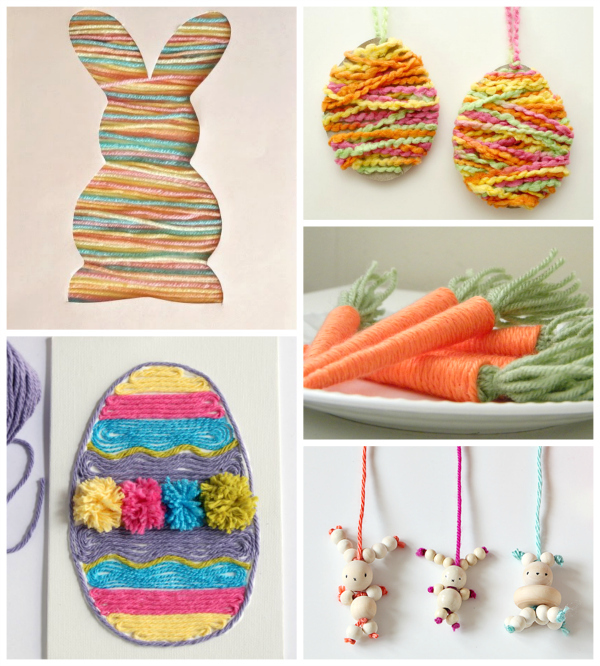 Easter Egg Yarn Art: Using yarn and glue, shape your yarn into a fun wrapped egg look. Find the tutorial via Make and Takes. 4. Yarn Wrapped Carrots: How cute are these faux carrots wrapped in orange yarn? Find the tutorial via Carolyn’s Homework. 5. Bunny Yarn Bookmarks: I know my kids would love to have these cute yarn string bunnies as bookmarks for their books! Find the tutorial via Small for Big. 6. 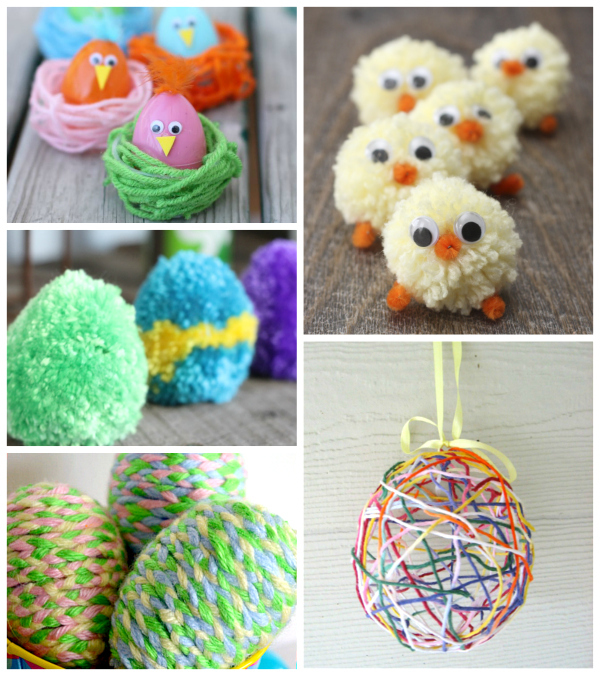 Yarn Wrapped Balloon Eggs: Using glue and yarn, make fun hollow eggs with balloons. Find the tutorial via No Time for Flash Cards. 7. Pom Pom Easter Chicks: These little yellow fluff balls are soooo cute turned into fun Easter chicks. Find the tutorial via Consumer Crafts. 8. 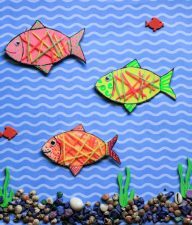 Braided Wrapped Eggs: Help kids learn the skill of braiding with yarn and then turn their creation into a fun Easter decoration. Find the tutorial via Mom on Time Out. 9. 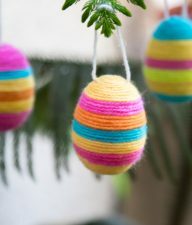 Yarn Egg Pom-Poms: Shape your yarn pom-poms into festive Easter eggs! Find the tutorial via The Country Chic Cottage. Have fun getting crafty this holiday!